During his first press conference as president-elect of the United States, Donald Trump contemptuously stated that the political information of traditional media was “fake news“. However, some websites had actually been accused of creating this type of fake news during the election campaign to harm his political rival, Hillary Clinton. When the term fake news is used so generally by opposing sides of the same debate, what does it actually mean? How political information is communicated has changed significantly in the last few years, and its language has been transformed too. Diana Owen, who wrote the article “The New Media’s Role in Politics” in the latest OpenMind book, “The Age of Perplexity,” analyzes how political communication and public engagement have changed since the emergence of the new digital media. To give you a taste, we explain five key terms to be able to understand political journalism in the age of hashtags and trending topics. Generally, “new media” or “digital media” refer to media that emerged as a result of technological innovation. They have their own language, agenda and strategy separate from traditional media. These include digital newspapers, social networks, blogs, podcasts, wikis, etc. Barack Obama’s digital campaign in 2008 is regarded as the turning point in the use of the new media to create a political movement. His campaign made innovative use of something that distinguishes the (not so) new media when compared to traditional media: interactivity and immediate response from the public. The Oxford dictionary chose “post-truth” as its word of the year in 2016 and its definition is ‘relating to or denoting circumstances in which objective facts are less influential in shaping public opinion than appeals to emotion and personal belief’. Consequently, there is nothing accidental about choosing this word in 2016, the year when Donald Trump won the presidential elections in the United States and the leave vote won the Brexit referendum in the United Kingdom. During the U.S. election campaign in 2016, there were plenty of fake news published on seemingly reliable websites, which quickly spread to social media and sometimes involved the use of automated software. Often this fake news have a grain of truth to make them believable; and they appeal to the pre-existing prejudices and feelings of readers about public figures, institutions, etc. The consequences of fake news have gone beyond the strictly political sphere and now affect areas such as health, as shown by a study by the University of Southern California, which explored how bot accounts were being used to spread misinformation about electronic cigarettes. 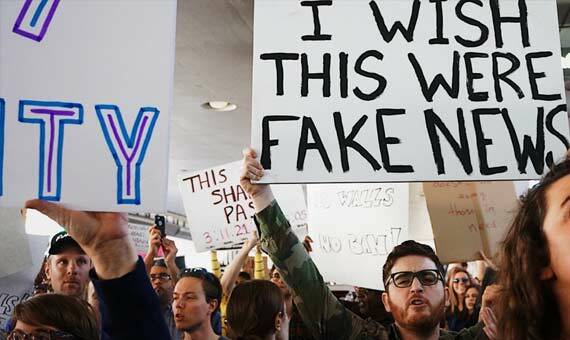 Fake news has been the subject of so many debates lately that some people say that it has been used so much that the term may no longer mean anything. This concept refers to the fact that when users read current affairs news on their social media, they often come across biased information since this data will mostly be shared by users, communities or pages with similar outlooks to their own (the reason for following them on social media). Social media have facilitated the development of these “echo chambers”, which exacerbate political polarization since users are mostly exposed to voices with a single point of view. 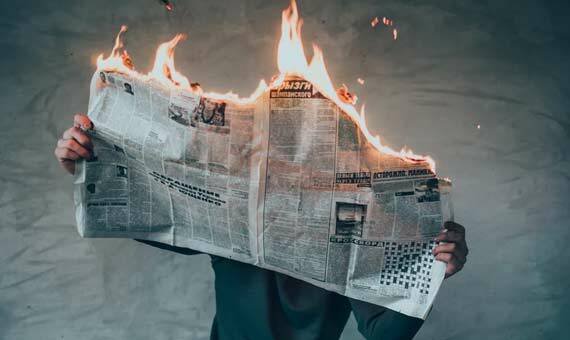 The control that the traditional media have always placed on domestic politicians has also changed substantially with the emergence of the new media. On the one hand, the fact the general public is able to share information in real time anywhere in the world has certainly opened amazing possibilities for breaking news or accessing data/images out of reach of the traditional press until now. On the other hand, according to Diana Owen, “new media allow political leaders to do an end-run around the watchdog press.” When politicians reach the public directly via a social network such as Twitter, the media see how their role as “watchdogs” changes to that of mere spokespersons for the politicians, insofar as they disseminate their words whether or not their informational value is questionable. You can access to Diana Owen’s full article included in “The Age of Perplexity” the last book in the OpenMind collection, in which 23 authors analyse the outcome of technological revolution promises.